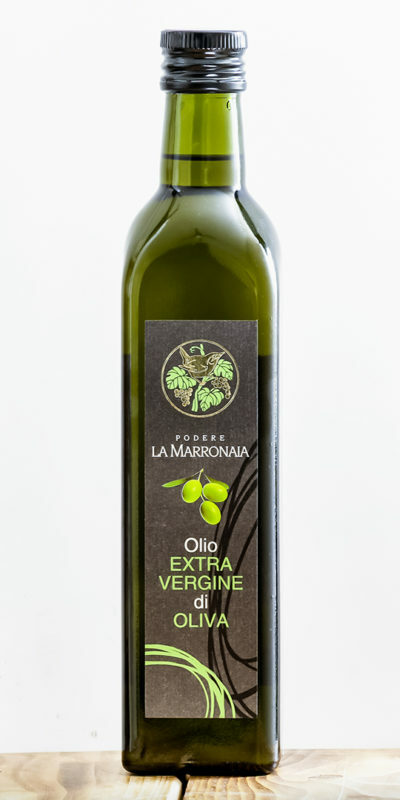 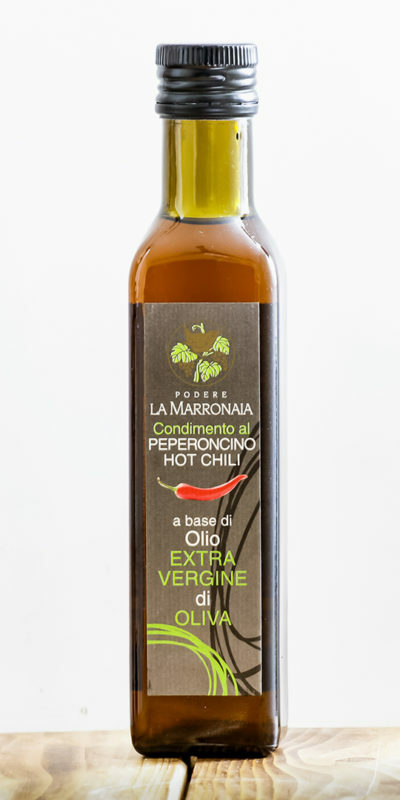 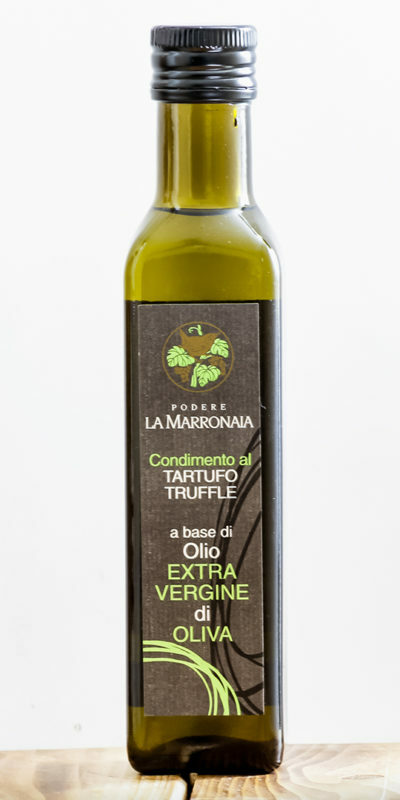 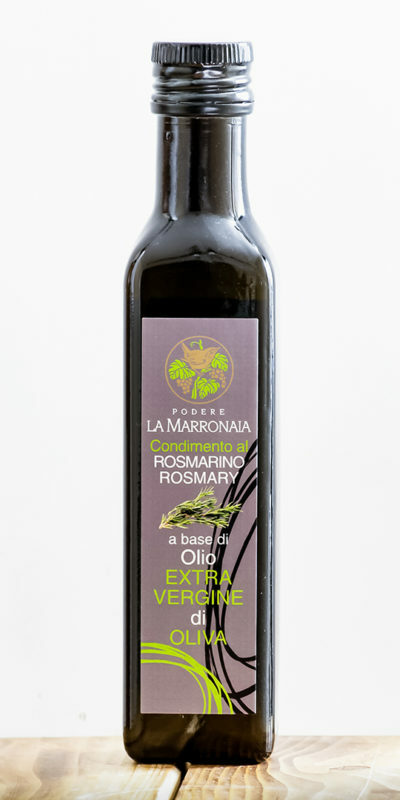 The Extra Virgin La Marronaia Olive Oil is a 100% Tuscan product. 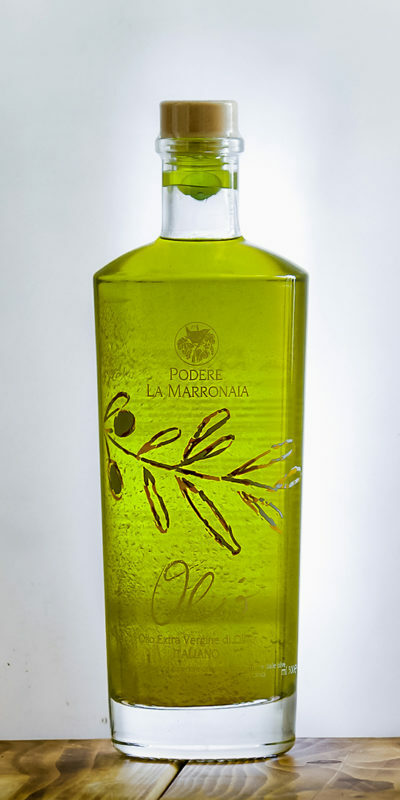 We carefully select the olives from our finest olive oil to provide you with a genuine and high-quality oil. 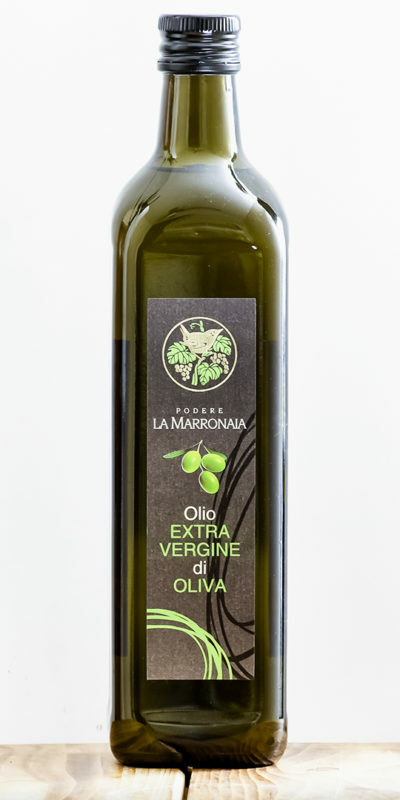 Our oils are produced respecting the environment and its inhabitants, without the use of chemical fertilizers or pesticides, and only following the most ancient traditions, thanks to the sun, air, and fertile soil of the Tuscan hills. 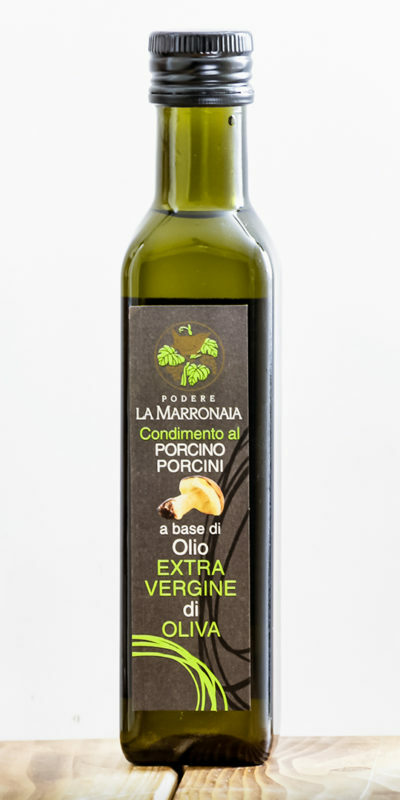 Our prized oils are made in our mill in San Gimignano, by being squeezed in special millstones and in rigorously cold temperatures, which help preserve their properties and health benefits. 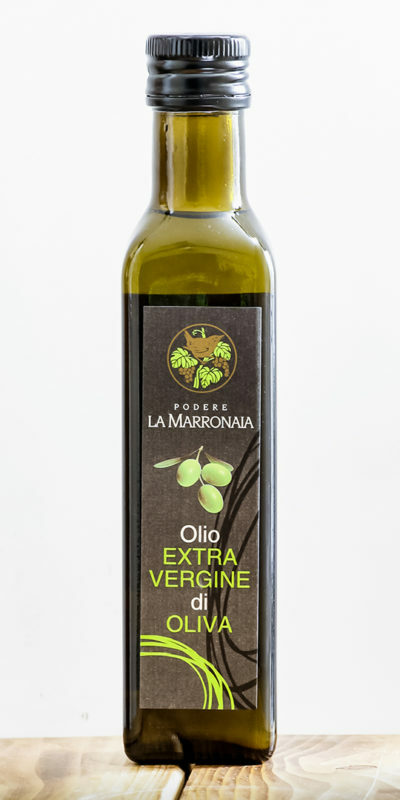 Enjoy its mild taste and slightly fruity aroma, which leaves the palate a pleasant hint of bitterness, typical of high-quality oils. 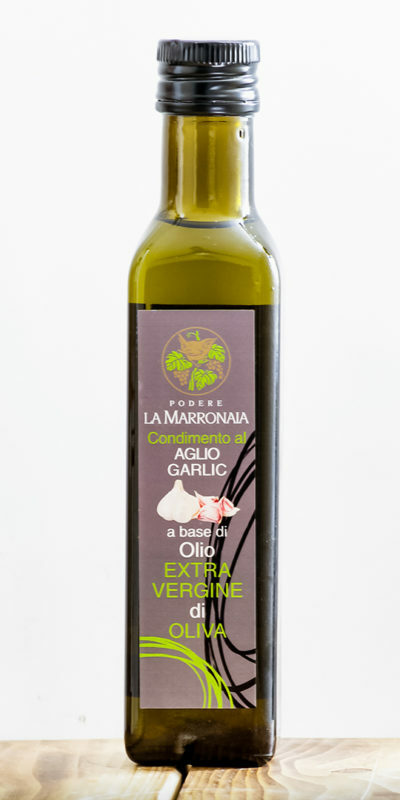 Ideal to give your dishes a touch of class without hindering the flavors while accentuating the taste.